Sheffield United moved back ahead of Leeds United as the battle for the second automatic promotion spot in the Championship intensified. Leader Norwich City prevailed in the early kick-off, thrashing Queens Park Rangers, while Aston Villa's fine form continued with a dramatic win at Sheffield Wednesday. But it was Marcelo Bielsa's men who suffered arguably the biggest shock of the day, beaten 1-0 by a Blues side which had lost five on the bounce. Che Adams's goal proved decisive and came just after Patrick Bamford had struck the post for Leeds. Wednesday boss Steve Bruce faced his former employer at Hillsborough and saw his side ship two late goals in a 3-1 loss. It was 1-1 heading into stoppage-time, with Albert Adomah and Tammy Abraham netting to boost Villa's promotion hopes. As for Wednesday, its dreams of a late surge into the top six look to have been ended. 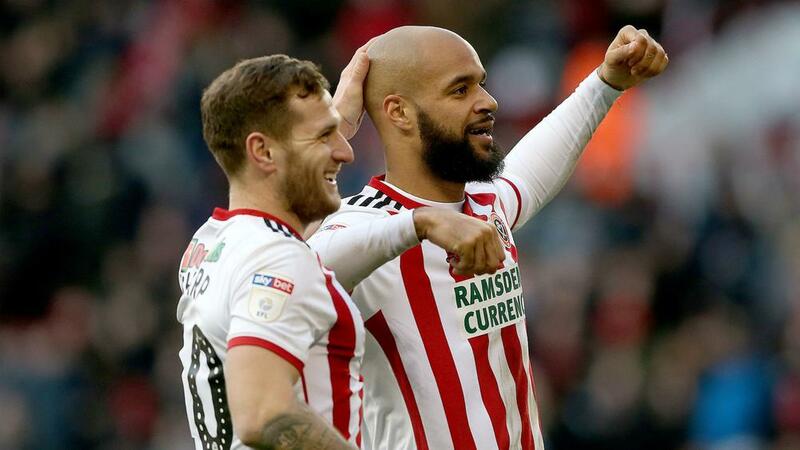 It was not only the Owls who fluffed their lines, with Derby held to a thrilling 3-3 draw at Brentford. Frank Lampard's side, which led three times, remains two points behind sixth-placed Bristol City, which also had to settle for a point after Nathan Byrne's last-gasp equaliser for Wigan Athletic. Tony Pulis's Boro lost 3-1 at Swansea City, and Forest was beaten 2-1 by lowly Rotherham. The Royals lost 3-1 at Hull City, while Millwall moved a point clear of the danger zone thanks to a 2-0 home win over high-flying West Bromwich Albion. Bolton, whose very future hangs in the balance, could find no solace on the pitch as Collin Quaner's double saw rock-bottom Ipswich Town to a 2-1 win.